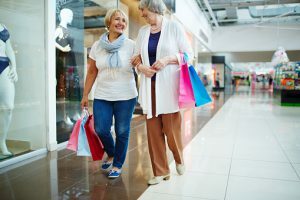 Visiting the Mall Can Improve Your Health! The days when kids just went out and played seem like a distant memory. Today, more and more kids participate in organized sports that can be very demanding. While keeping your children active has many advantages, there are also some potential risks. The Physical Therapy Department at Jamaica Hospital Medical Center wants to warn parents against children sustaining “overuse injuries.” An overuse injury is damage to a bone, muscle, ligament, or tendon due to repetitive stress without allowing time for the body to heal. Overuse injuries can lead to problems with the lower back, hips, shins, or heels. In children, overuse injuries are especially dangerous when growth plates are involved. When a growth plate is injured it can affect the size and shape of the bones as children mature. Organized youth sports, especially when played at a high level, often require year-round commitments, with children spending an increased amount of time on the field or court. Unfortunately, their bodies simply aren’t ready for this level of physical intensity. Diversification – It is highly recommended that children participate in multiple sports throughout the year instead of just one sport all year around. The variation in activity will give children an opportunity to exercise different muscles. Make Rest a Priority – Your children are still growing and they need their rest. Children should not exceed 10 hours of sports in a week and they should take one to two days off per week. The increased rest will allow their bodies extra time to heal. Don’t Forget to Stretch – Make sure your child’s coach sets aside time before practice to warm-up. All athletes such begin each workout with light activity and concentrated stretching exercises for all major muscle groups. Encourage Children to Speak Up When They are Injured – All youth athletes should tell coaches or parents when they sustain an injury. The quicker injuries are addressed and treated, the quicker they can recover. 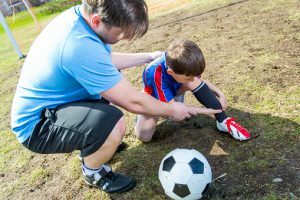 Physical therapists can help by determining how or why a current injury occurred as well provide advice to prevent future injuries from taking place. A physical therapist can work with patients by building cardiovascular fitness, muscle strength, endurance, agility and coordination. Jamaica Hospital offers outpatient physical therapy services. For more information, please call 718-206-7140.